Futuremark executives say cloud gaming systems like OnLive and Gaikai could go a long way toward lowering the expense of a good gaming habit, but only if they're done right - and even then, it's still a dicey proposition. Videogaming can be a very expensive hobby. The up-front cost of your hardware of choice can be downright painful and as the years progress, you can count on spending more for various extras and upgrades; then at some point, assuming you don't want to spend the rest of your life as a grumpy retro-gamer, you'll have to do it all over again when the next generation of hardware rolls around. For years it was assumed that PCs were even harder on the wallet than their console cousins, but according to Futuremark Producer Jaakko Haapasalo, that's no longer necessarily the case. "There's some irony here in that consoles are now being threatened with the same sort of hardware obsolescence and upgrade cost issues as the PC was previously," he told CVG. The solution, maybe, is cloud gaming, which offloads most of the heavy lifting to remote servers and streams games to players via basic PCs or consoles. But it's an approach that carries its own risks. "With streaming, there's an undeniable convenience advantage for the player if it's done right," Haapasalo added, "but the loss of control or ownership over parts of the platform and content may prove too much for some." And as Futuremark CEO Jukka Makinen pointed out, cloud gaming could lower the barrier to "high-end gaming" but there's always going to be something to spend money on. "It will not lower the number of expensive entertainment gadgetry around our gaming sofas," he said. "There will always a better monitor, better audio system or a better cloud-gaming-resolution-booster-lag-reducer to buy." 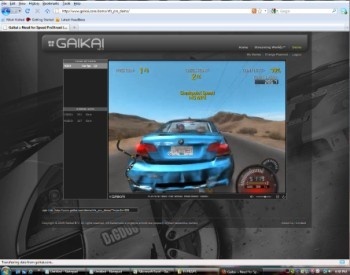 Both OnLive and Gaikai are currently in beta testing. No launch date has been set for either service.